“A passenger using an NFC-enabled device can be processed faster than any of the current boarding processes available today”, says the air transportation technology giant. 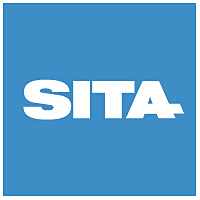 Air transportation IT provider SITA has opened an NFC demonstration area at its offices in Geneva, designed to show airlines and airport managers how NFC phones can be used to improve airport efficiency. The SIM-based NFC proof-of-concept demonstrates how “tap and check-in” and “tap and board” services could be used to make a passenger’s journey through the airport smoother and shows NFC phones being used to open security, airline lounge and boarding gates automatically. The demo was developed by SITA and Orange Business Services. Airport equipment providers Desko and Kaba also participated in the development of the pilot, providing advanced scanners, readers and security access gates. “Mobile NFC is still a maturing technology with multiple implementation models.” explains Jim Peters, SITA’s chief technology officer. “We chose to implement a solution that takes full advantage of the secure element on the SIM card and over-the-air deployment from a trusted service manager (TSM) to the device.